How does it impact email marketing and marketing automation? How does SendinBlue enable users to comply with this regulation? What measures do I need to take in order to be in compliance with the GDPR? Please note: this page explains the impact of GDPR on the use of SendinBlue only and is not applicable for any other aspects of your business. It should not be considered as legal advice. This regulation, which can be read in full on the CNIL website, is the new European law governing the use and handling of individuals’ personal data. If you collect or process the personal data of any European citizen, regardless of the country in which your company is based, the GDPR affects your business. All stakeholders must be in compliance with the GDPR since May 25, 2018. If you are not yet, it is important to start your compliance now! In the event of non-compliance, companies may be fined from 2% to 4% of turnover and up to 20 million for the most serious offenses. What are the changes to the old legislation? Right to rectification: The data subject may request that their personal data be updated or corrected. Right to be forgotten: The data subject may request that their personal data be permanently deleted. Right to portability: The data subject may request that their personal data be sent to another organization or competitor. Right of access: The data subject has the right to be informed of any and all of their personal data that has been collected, as well as its intended use. One of the big changes in the GDPR is the new definition of consent, which should now be “given freely” and provided in the form of a “positive action” for each planned use case involving the subject’s personal data. Opt-out practices (whereby subjects are automatically subscribed to a list, leaving it up to them to unsubscribe) and passive opt-in practices (pre-checked boxes in subscription forms) are now prohibited under the new regulation. Opt-in is now the only way to get explicit consent, and therefore the only legal means by which organizations can obtain and use customer contact information. Ask your users for permission each time you want to use their personal data in a new way. It is important to note that this new definition of consent also applies retroactively to the personal data of European residents collected before May 28th, 2018. If you have already received consent for the use of this data, you do not need to ask for it again. On the other hand, if your current lists are not up to GDPR standards, you must obtain consent again via an explicit opt-in form. This page is mostly concerned with summarizing the implications of your email marketing and marketing automation practices, but the GDPR also includes numerous other requirements: record keeping, nominating a Data Protection Officer, implementing a management risk process, etc. Depending on your business and the nature of the personal data you process, the implications of the GDPR can be extremely far-reaching. To better understand the requirements and legal ramifications for your organization, we recommend you consult a legal advisor specializing in personal data regulations. What measures has SendinBlue put in place to ensure GDPR compliance? Leading up to the implementation of the GDPR on 25 May 2018, SendinBlue took many necessary steps in order to ensure users’ rights in accordance with the new laws. As a SendinBlue customer, the GDPR gives you new protection rights and assures better access to your personal data. Right to be forgotten: Cancel your SendinBlue subscription and close your account at any time. You can send us a request to erase all your data, which we will complete within 30 days. Right of opposition: you can at any time unsubscribe from any specific uses we make of your information (newsletter, emails, etc.). 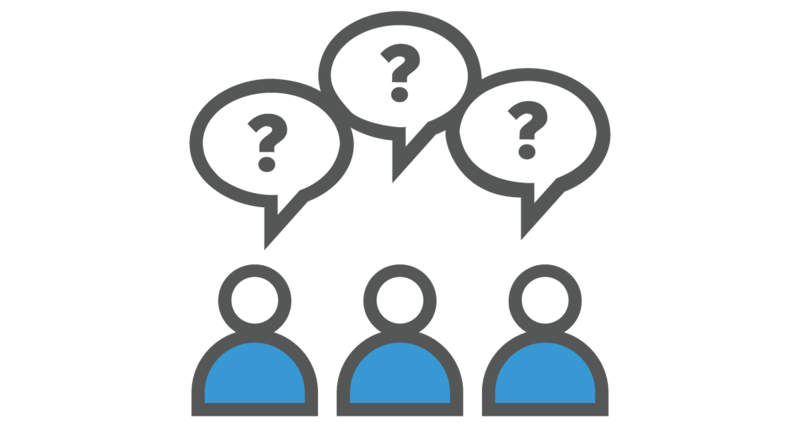 How can SendinBlue help you answer requests related to your customers’ data? The GDPR provides new rights for your users and customers as well. Thanks to the measures that SendinBlue has taken to be compliant with the new regulations, you will be able to answer any requests from users who are looking to exercise their new rights regarding their personal data stored in your database. Right to be forgotten: If one of your contacts wishes to exercise their right to be forgotten, you can simply delete them from your lists in SendinBlue. This will also erase all their personal data. If one of your contacts sends a valid request directly to us, we will inform you and remove their personal data from your account, as well as from any other SendinBlue accounts who have personal data on this contact, when applicable. How to make sure you are in compliance with the GDPR? This is why it is better to delete all of your contacts who are inactive or those who have unsubscribed to your communications already. If you are not using this information, then it is more advisable to discard it. The information on this page is designed to help prepare SendinBlue users for the GDPR in the context of our services and should not be taken as legal advice. Additionally, there may be parts of the legislation that affect other aspects of your business as well.